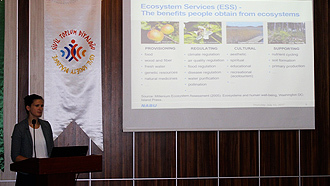 EU Nature Conservation in Turkey Forests Project is supported under Civil Society Dialogue Programme. The Programme aims to bring together civil society organisations from Turkey and the EU around common topics, to exchange knowledge and experience, and to build a sustained conversation between them. The Ministry for European Union Affairs is the responsible institution for the technical implementation of the programme, while the Central Finance and Contracts Unit is the Contracting Authority of the Programme. We will organize an important workshop in Karabük on 18 July 2017. 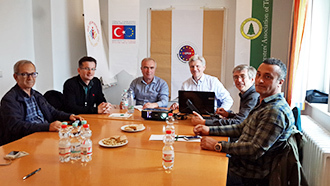 Also there will be 2 participant..
As we are the main beneficary The Foresters' Association of Turkey undersigned agreement of the pro..
On 24th of April 2017 we met with local focal points in Karabük the working area of our Project "Pr..
EU Nature Conservation in Turkey Forests Project is supported under Civil Society Dialogue Programme. The Programme aims to bring together civil society organisations from Turkey and the EU around common topics, to exchange knowledge and experience, and to build a sustained conversation between them. 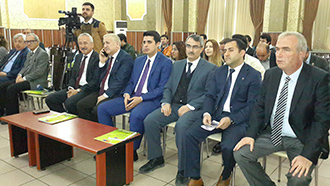 The Foresters' Association of Turkey is responsible for the content of this website and can in no way be interpreted as the opinion of the European Union and / or the Republic of Turkey.